When you are creating Facebook Ads, it is a good idea to set Audience setting. I would like to recommend you to create Facebook Ads with computer through Facebook Ads Manager. Because mobile Ads Manager doesn’t have some features that Desktop version Ads Manager have. This article will tell you how to set the right audience setting for Facebook Ads. Depend on the scope of your content, you should select the right set of Audience. Set of Audience means interest, demographic features, Behavior etc. But here I would like to tell you about how to select most suitable interest for your post. There will be two types of interest. Direct interest and Indirect interest. Let’s say that your content is related with Girl’s Tank Top. Direct interest is very straight. We just select the interest directly related to the contents. For indirect interest, we can assume that the person who have interest on indirect interest may also interest on direct interest. The girl who has interest on beauty, fashion, shoes will surely interest on Tank Top, dress and clothing. 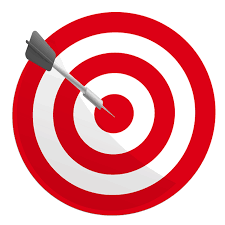 By combining above two types of interest, you will have more chance to reach to targeted audience for your post. You can apply this technique to set audience setting for Facebook ads for other topics. This is based on my 4 years of experience as Facebook advertiser for local online shops and E-commerces in my country. I provided advertising services for over 600 Facebook pages within 4 years. If you don’t want to use Facebook Ads and you want to reach your post to more people, you can use one of my marketing tool website. My website can be used to share your post to many Facebook groups just with one click.